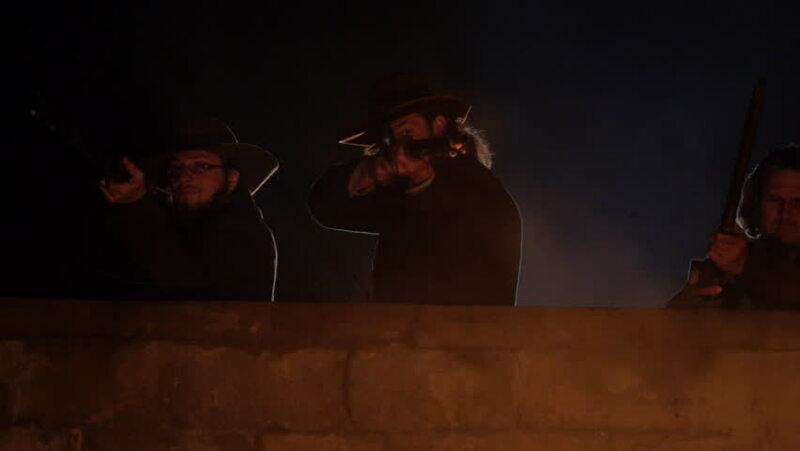 TEXAS - MARCH 2017 - Early 19th century Re-enactors representing Texan and American Soldiers defend a stone fort wall with muskets and rifles.Men with black powder guns as soldiers attack the Alamo. hd00:20NEW YORK CITY - SEPTEMBER 2015. Re-enactment, recreation of 1920s, 1930s, 1940s Ironing clothes with old iron, House work, Radios and people listening to radio. housekeeping, prohibition days. 4k00:12NIAGARA FALLS 1963: woman walking down steps, waving to the camera.